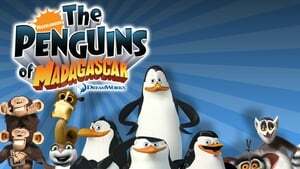 The Penguins of Madagascar is an American CGI animated television series airing on Nickelodeon. It stars nine characters from the DreamWorks Animation animated film Madagascar: The penguins Skipper, Kowalski, Private, and Rico; the lemurs King Julien, Maurice, and Mort; and Mason and Phil the chimpanzees. Characters new to the series include Marlene the otter and a zookeeper named Alice. It is the first Nicktoon produced with DreamWorks Animation. A pilot episode, "Gone in a Flash", aired as part of "Superstuffed Nicktoons Weekend" on November 29, 2008, and The Penguins of Madagascar became a regular series on March 28, 2009. The series premiere drew 6.1 million viewers, setting a new record as the most-watched premiere. Although the series occasionally alludes to the rest of the franchise, The Penguins of Madagascar does not take place at a precise time within it. McGrath, who is also the co-creator of the film characters, has said that the series takes place "not specifically before or after the movie, I just wanted them all back at the zoo. I think of it as taking place in a parallel universe."